Iced Tea is a summer favorite. Nothing beats the heat like this refreshing drink that instantly cools and rejuvenates your mind and body. Whether it is sugary sweet, flavored, or traditionally zesty, iced tea is loved by all. While the best coffee machine is an indispensable tool to make the tasty cup of black coffee, espresso, latte and cappuccino, the best Iced Tea Maker is an inspired solution to enjoying this delicious drink whenever you want. The reviews mentioned here will help you gauge which iced tea maker is best for you. We have also gone the extra mile to include a guide to help you understand how ﻿tea﻿ ﻿﻿makers work and how you can choose the right one. As the name suggests, these iced-tea makers do not run on electricity. Essentially, these iced tea makers comprise a containing unit like a jug, which either comes fitted with a draining filter or packed with a filter that can easily be placed inside. The containing units usually have the feature of being air-tight so as to keep the tea fresh for a longer period of time. Non-electric or manual iced tea makers come in various shapes and sizes. They offer a greater choice of colors and types than electric tea makers, but they aren’t as quick and efficient. One reason is that you have to boil the water separately before adding to the tea maker. What’s more, most tea makers will take 20-30 minutes to steep the tea and get the desired flavor, after which you will have to move the pitcher into the refrigerator (or freezer) to chill the tea to perfection. 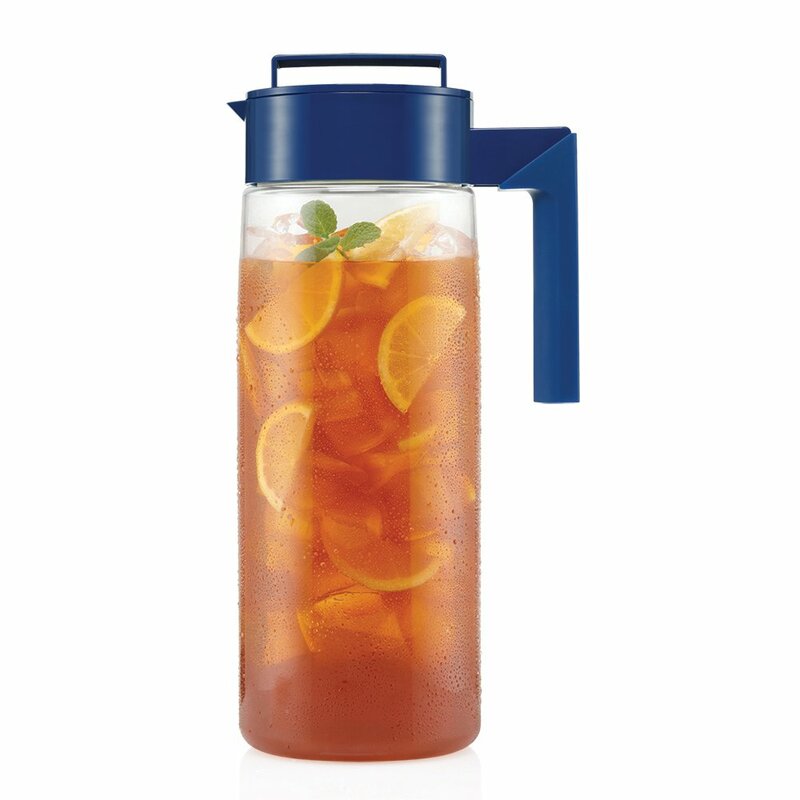 Manual iced tea makers may take more time, but they do offer you more freedom to choose the strength of the tea. 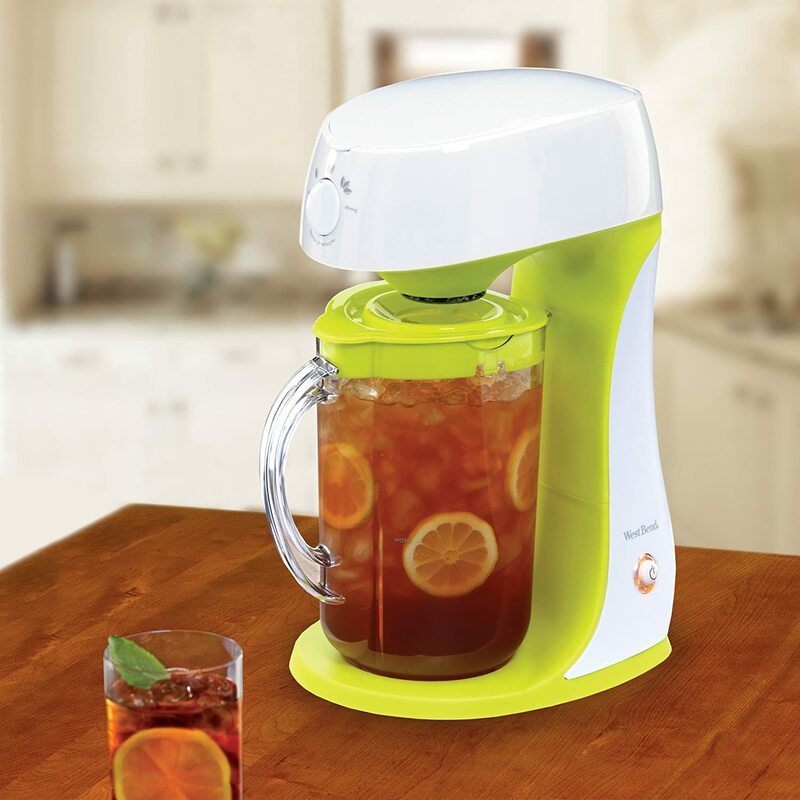 Another winning feature of these iced tea makers is that they are dishwasher- friendly and easy to clean. They are also a better option to choose when you want to mix different type of teas to get a unique flavor. Here are some iced tea recipes you can try with a manual iced tea maker. Some machines offer the freedom to use both loose tea leaves and tea bags while most only allow tea bags. These tea makers are known for brewing a good jug or cup of tea in a matter of minutes. You can choose the strength of tea and the amount of brewing time you want to get the right flavor. Most machines have an automatic off switch that prevents over-brewing. The removable containing unit is usually heat-proof and refrigerator-friendly, which means you can serve tea in it as soon as the tea is ready, or you can wait till it’s colder. However, containing units that come with electric iced tea makers don’t usually have air-tight storing features so the tea can’t be stored for a long time. Electric iced tea makers are not dishwasher safe; some machines have containing units that can be washed in the dishwasher, but the unit itself has to be washed by hand or washcloth. ​The idea of brewing your own tea may sound daunting, but iced tea makers make the process completely hands-free and convenient. Before you plunge into the researching the market takes a look at how you can brew iced tea that tastes like heaven. The number one tip for making delicious iced tea is to make it with fresh tea leaves or tea bags. The quality of the water you use to brew tea is equally important for making tea that tastes good and keeps fresh for a longer time. Use purified or natural spring water for best results. Every tea is made differently. Premium quality loose tea usually comes with instructions on how to brew it and in what quantity. While you may choose to experiment with different flavor combinations once you have an idea of how each tea is made, it is best for beginners to follow the instructions. Our first recommendation is the West Bend 68305T because it is an iced tea maker that comes packed with all the features you can ask for plus a one year warranty. 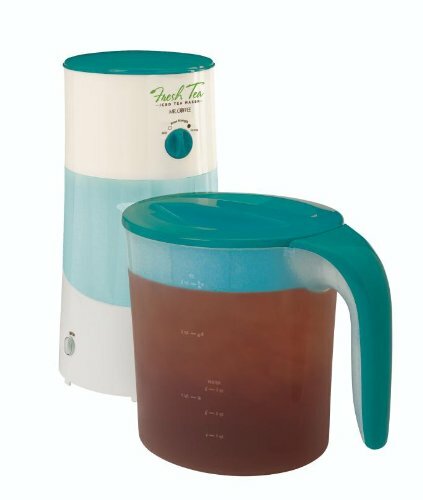 This green/white machine is perfect to brew your favorite iced tea blend in a matter of minutes. The plastic structure doesn’t take much space and is easy to move and clean. The sugar/sweetener compartment has trouble mixing all the sugar in the tea. 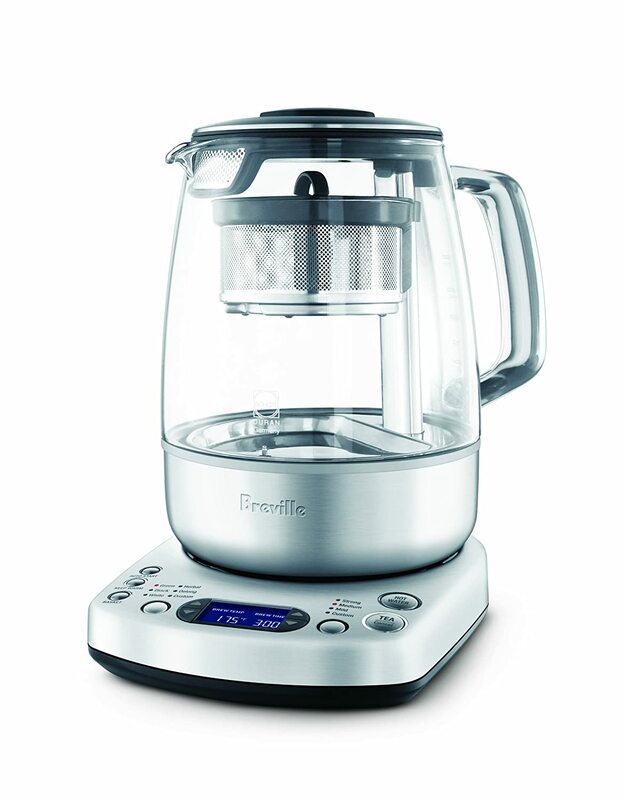 This Breville tea maker is a dream for those who like a completely hands-free tea making experience. This fully automated tea maker leaves little to maneuver with features like temperature regulation, customizable dwell times, and a French press that actually moves up and down to manage the flavor of tea. Mr. Coffee is famous for making tea and coffee makers that are sturdy and convenient. TM70TS lives up to the Mr. Coffee reputation of quality by being an iced tea maker that makes delicious iced tea under ten min. The plastic body is easy to clean and care for. The tea maker is fairly easy to use and allows you to brew your favorite blends completely hands-free. The Takeya Flash Chill Iced Tea Maker is the gold standard of non-electric iced tea makers. This BPA-free plastic flask like tea maker is perfect for brewing your favorite iced tea blends. 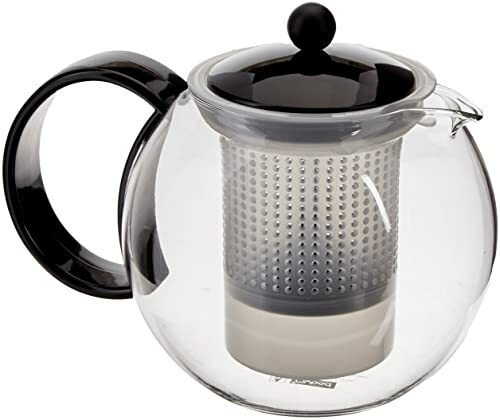 The long brew filter ensures quicker steeping and greater flavor. It also allows you to mix different tea blends together as the space is enough for any kind of tea to expand when brewed. 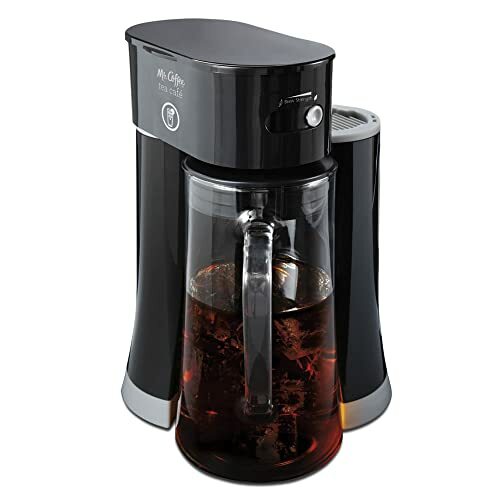 Another Mr. Coffee iced tea maker turns up on this list because they have a large variety of tea makers to suit different needs. The BCMC-TM33 is fancier and has more features than TM70TS but offers the same functionality. 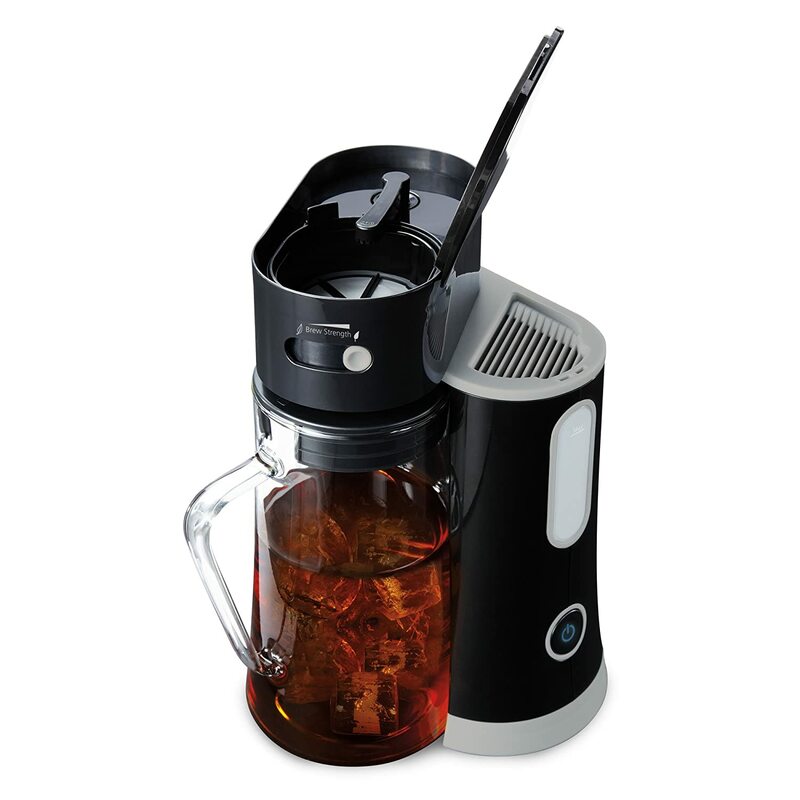 This tea maker also has two pieces; an electric brewing base and a glass pitcher. This model also offers a water filter and brewing process that removes 97% chlorine from the water to make better tasting tea. 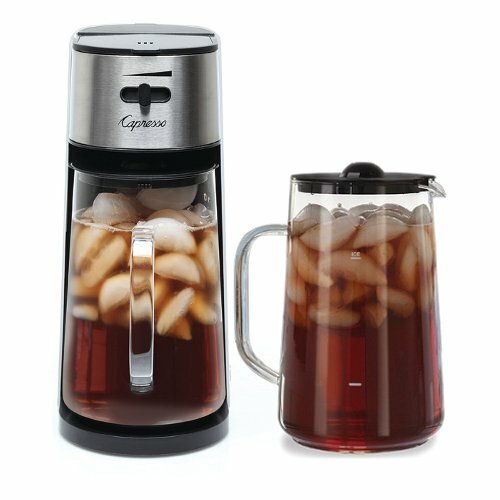 ​Though all iced tea makers in this list work really well and make for some delicious tea, our favorite is Mr. Coffee Fresh Iced Tea Maker TM70TS. We love how it combines the best of both worlds; the tea maker’s electronic features allow you to brew your favorite blends quicker and more conveniently, but the machine still gives you the freedom to sweeten and cool your tea as much as you like. It is easy to clean and maneuver, and it is reasonably priced. This machine lets you enjoy your choice of iced tea blends year-round.